It has been quite a few years since my visit to Jamaica but I occasionally do crave the late night alleyway jerk chicken you find from a street vendor. It's not something that has quite exactly been replicated in places I've been, so when I saw that Back A Yard had some good ratings while I was researching San Jose eats, I figured I needed to go. Also, because the trip was somewhat of a birthday ordeal for Duc, I wanted to expose him to foods he hadn't had before. 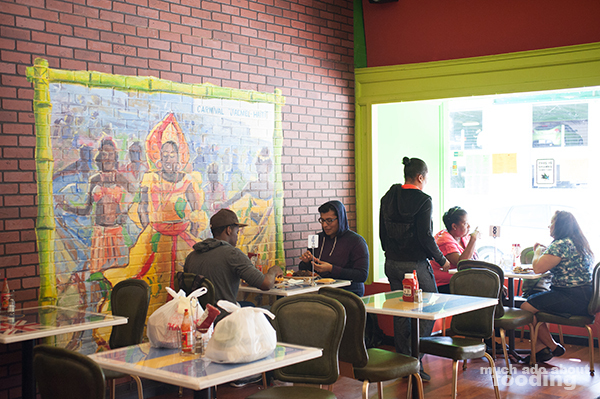 Jamaican jerk chicken - we gon' find you. 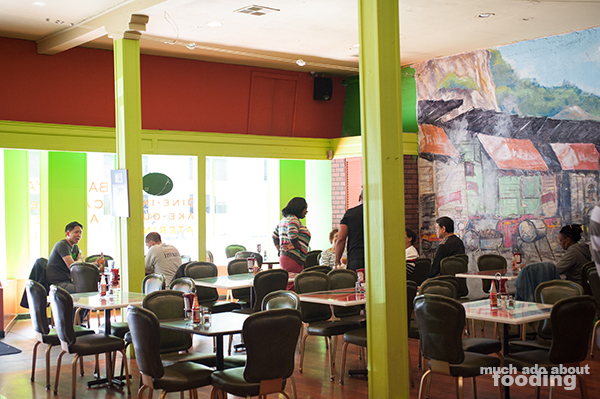 We walked inside, and I loved the decor with its bright colors and mural focus. I wish we could have stayed inside to eat but we had to be somewhere else and weren't immediately hungry (just wanted to stop in to grab it to eat later). It definitely made me think back to times in Jamaica but with a little bump up in cleanliness and style. 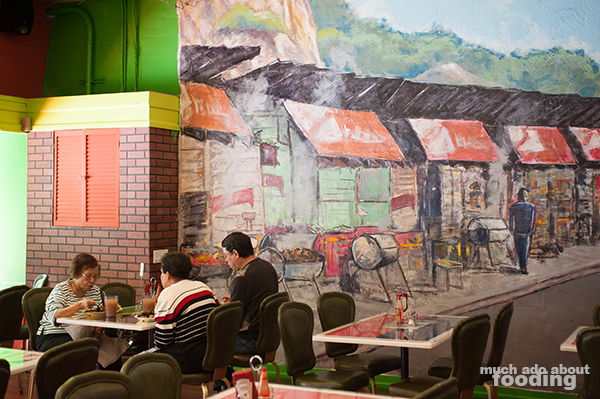 From the looks on people's faces, it was both great food and environment. I took a look at their menu and was sorely tempted to order a whole lot but we were there on a mission! The fridge next to the cashier had all of the Jamaican drinks stocked, making me once again miss my years-passed trip. What tempted us back to the counter was the sight of fresh juices rotating (daily) in their jugos containers like the ones you typically see in a Mexican restaurant. Why were the juices amazing? Because they had fresh Ginger Beer. Seriously. 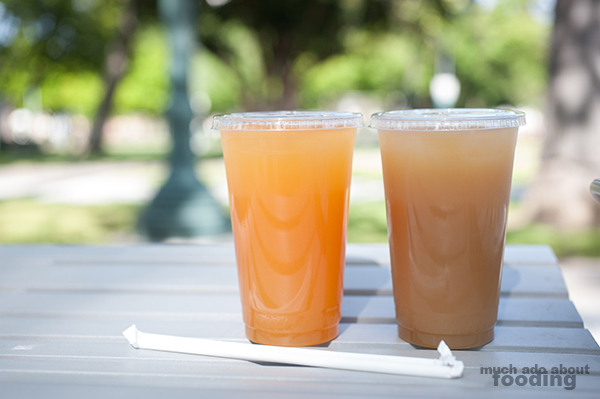 They also had two others, of which the one we got was their fresh Guava Pineapple juice. Wow to both. I dare say this was one of the best ginger beers I've ever had, and Duc said it was definitely the best for him. There was just the perfect amount of sweet nectar goodness and spicy ginger strength to it. The fresh juice was heavy on the guava but that's not a bad thing. For the meal, we ordered the Jerk Chicken ($9.50 - served with rice & beans, fried plantains, and tossed salad with Ranch dressing), a fantastically large order for "one." I remember the cashier acting like it was odd we only asked for one entree but really guy, there's plenty of food to be had. 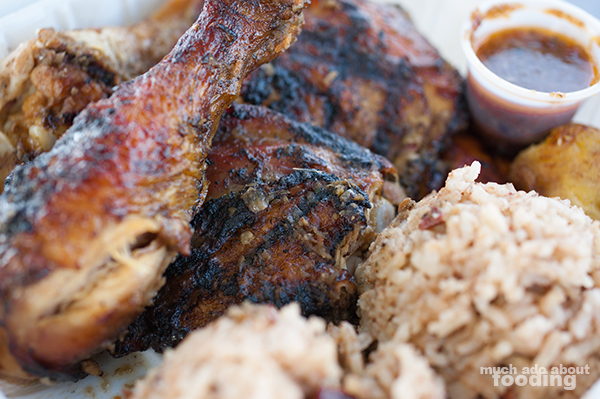 The jerk chicken really brought me back to street vendor in Jamaica days. It had the perfect amount of char and seasoning in addition to being juicy and tender. There was something crack-like in the rice as well. 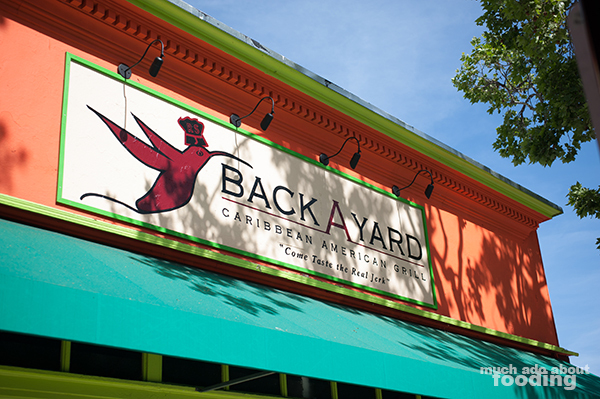 'Twas all very good, and later, whenever we talked to locals about having come to Back A Yard, they always said that we made the perfect choice in eating there. Hoorah for five stars you delicious business you! Best ginger beer ever because it is freshly brewed!